Join us for the comprehensive unveiling party ahead of Indy Man Beer Con 2016 (6th-9th October, Victoria Baths) at Port Street Beer House. 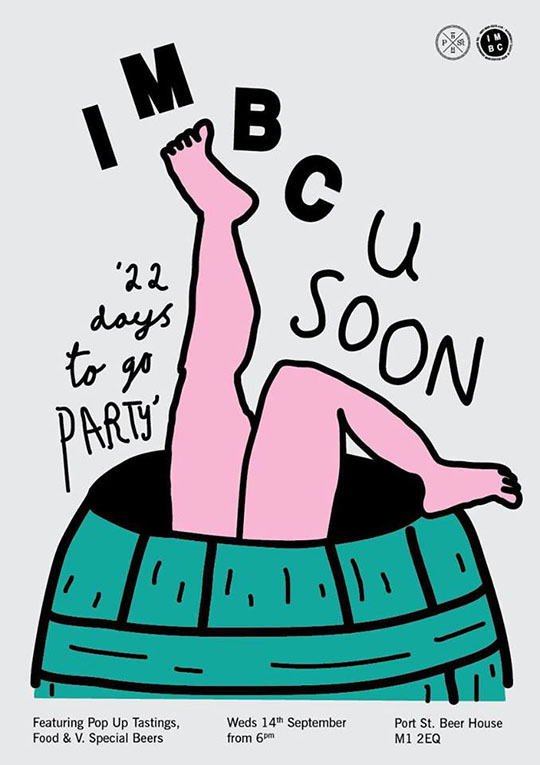 The IMBC 16 brewery list will be released in full featuring over 50 of the most progressive and forward-thinking national and international breweries. Find out first the food vendors, talks and tastings, live music and events that will make up your IMBC 16 experience. Expect a Port Street bar teaming with keg and cask from IMBC 16 sponsors, Cloudwater, Beavertown, Redchurch, Fourpure, Northern Monk, Siren Craft Brew, and Wild Beer Co. Alongside this rich haul we’ll have pop-up tastings on the night from some very special breweries to be unveiled soon. Food will be provided on the night from Epicerie Ludo, get down early to scoop free limited bumper cheese platters from Chorlton’s finest. More details coming soon! Join us and raise a glass to the forthcoming festivities. 22 days to go! Can’t make it to Port Street on the evening of the 14th September? Don’t despair! 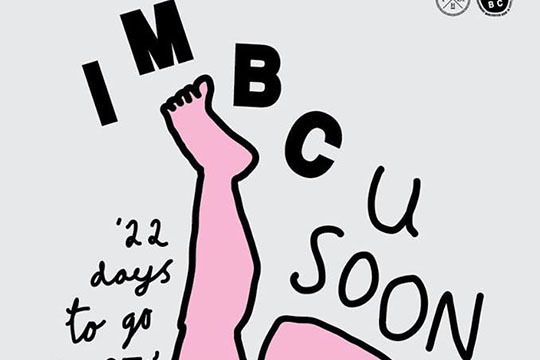 We’ll be unveiling all the info for IMBC 16 online right here too.